In the UK we have been experiencing some strange whether all around the country which has been very variable from one day to another. We’ve had rain, floods, cold, wind and sun and due to these changes my lips have been much drier than usual. 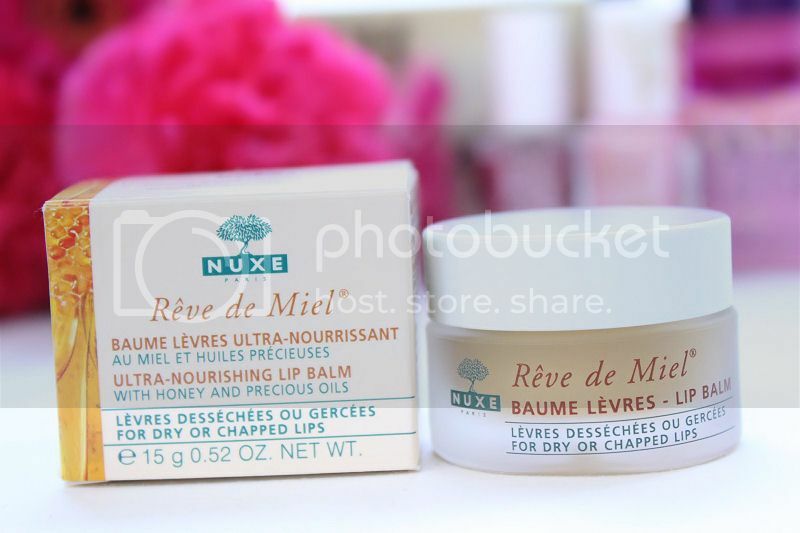 Over the past few months I have relying on my pomegranet Burts Bee’s lip balm which works very well but once that ran out I was looking to try something different and the obvious choice was the Nuxe Reve de Miel lip balm as it seems to be hyped about a lot at the moment. 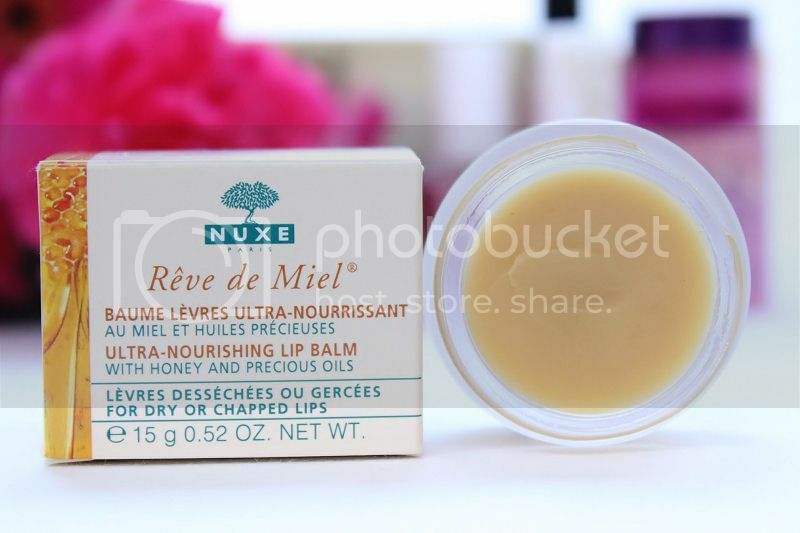 Before I bought the Nuxe Reve de Miel lip balm I hadn’t read much about it so I didn’t really know what to expect. All I knew was that everyone was raving about it and therefore first impressions counted for a lot. The packaging is cute and I love the frosted glass on the jar as it makes this product feel expensive (which it is) and it reminds me of the kind of products you would find at a spa. 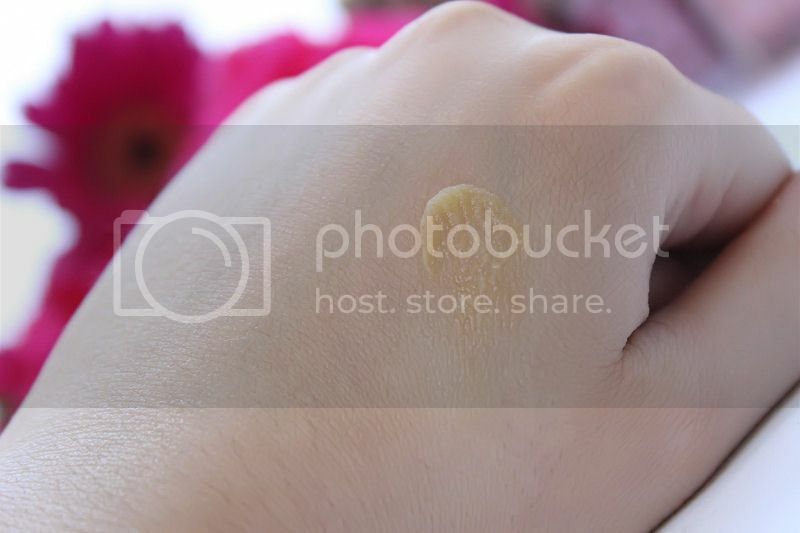 I’ve been using the Nuxe lip balm for around four weeks now and I absolutely love it. The formula is very thick so it feels nourishing on the lips and the consistency is smooth without being sticky or heavy. As for smell, it is gorgeous. It has a beautiful citrus scent which isn’t overpowering in the slightest and even though I’m not usually a big fan of citrus, I really like this. The ingredients in Reve de Miel include a mixture of honey and precious oils which is said to nourish, repair, soothe and protect the lips. Without doubt, this lip balm does all of those things and I can’t imagine not regularly using it, particularly in the Winter. The concentrated formula works perfectly to keep my dry lips at under control and although they weren’t particularly bad before I started using this product I have definitely seen an improvement which means I can now happily wear any lipsticks I like without the worry of the them looking patchy or making my lips ever more dry. Priced at £9.50 this lip balm is more expensive than any others I have tried and at first I wondered if it would live up to the hype and price tag but I definitely have not been left disappointed. Needless to say, when this pot runs out I will definitely be re-purchasing it! You can buy the Nuxe Reve de Miel lip balm from Space NK for £9.50 and see more products Nuxe have on offer at their website. What do you think of this lip balm? It seems that everyone raves about this so it is defnitely something I want to try.